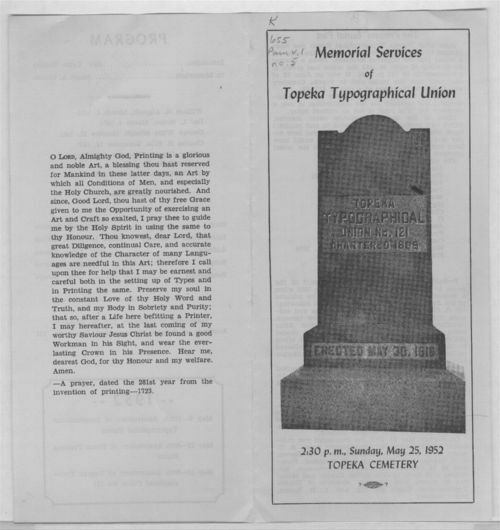 This bulletin includes the printed program for the 100th anniversary of the international typographical union, the 60th anniversary of the Union Printers Home, and the 70th anniversary of the Topeka Typographical Union No. 121. In 1888, several years after the Topeka Typographical Union was re-chartered, a burial plat was deeded to the union at a cost of $171.38 for its departed members. At that time the union had grown from 8 members to 112 members.